NANGARHAR PROVINCE, Afghanistan -- The Pentagon says two U.S. service members were killed in Afghanistan overnight Wednesday. Navy Capt. 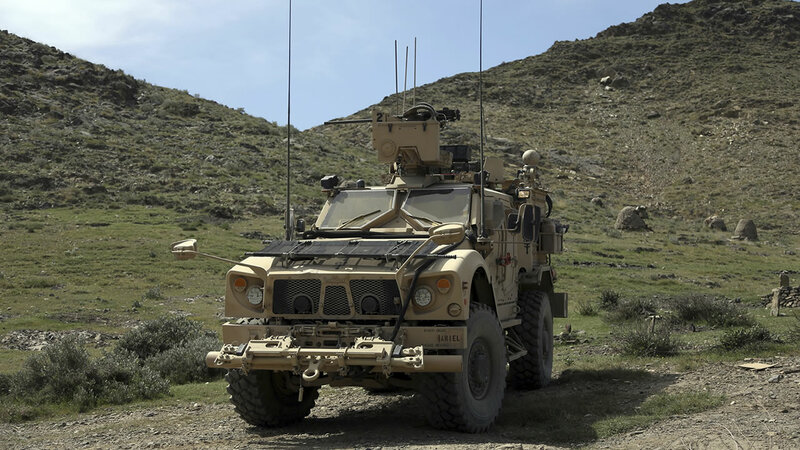 Jeff Davis says they were killed during an operation against the Afghanistan-based Islamic State group in Nangahar Province in the eastern part of the country. He says the U.S. is gathering further details. "The fight against ISIS-K is important for the world, but sadly, it is not without sacrifice," said General John W. Nicholson, Commander, U.S. Forces-Afghanistan. On behalf of all U.S. Forces and our coalition partners, I offer our deepest sympathies to the families, friends, and fellow service members of our fallen comrades." The U.S. has been battling the Islamic State Khorasan group in Afghanistan for months. About two weeks ago, the U.S. dropped what's called the "mother of all bombs" on an IS complex in Nangahar Province, just days after a U.S. Army special forces soldier was killed in the region. The bomb is the largest non-nuclear weapon ever used in combat by the U.S., and killed several dozen militants. The U.S. estimates that the group has about 800 fighters in Afghanistan.